The Digital Bible Library received a minor update to 4.6.2 on May 19, 2016. It provides some helpful features and refinements for user administration in DBL. 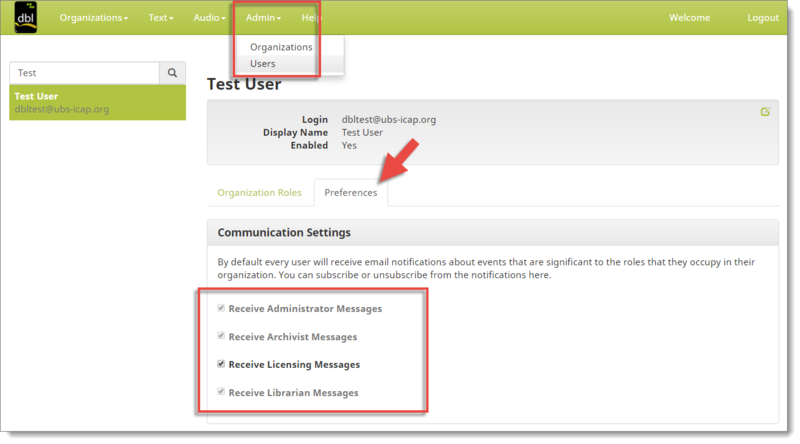 Notifications – New role related communication preferences for users. By default every user will receive email notifications about events that are significant to the roles that they occupy in their organization. Users can now subscribe or unsubscribe from the notifications by going to Admin > Users; select the user to modify; select the Preferences tab and select the types of notification messages to receive. Changes to these preferences are only relevant for roles which apply to the selected user. DBL currently only sends notifications related to licensing events, but other notification events will be added in time. 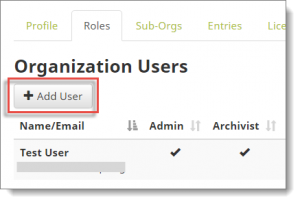 Users / Roles – Improved process for adding users to organizations. 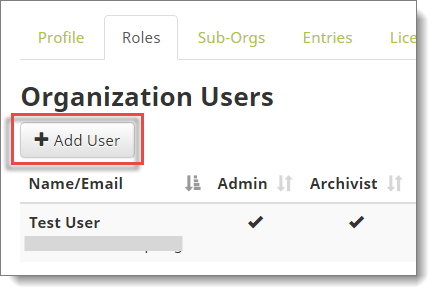 Users / Roles – Organization administrators can now remove users from DBL (not only from their organization). Use Admin > Users and select the user from the list at left. Speed improvements to catalog views. Fixed issue where LCH licenser could not download PDF attachment for external license agreement. Fixed issue causing some incorrect license expiry notifications.